It's science-project time in Ms. Adolf's class, and Hank is in the doldrums. He loves science--the experiments, the labs, the equipment--but he hates the report part--the hypothesis, the methodology, the conclusions. Hank turns to TV to take his mind off things, which becomes another annoyance when the program directory scrolls by too quickly for Hank to know what's on when. So he decides to take apart the cable box to try slowing down the crawl. And it'll make a great science project, too! 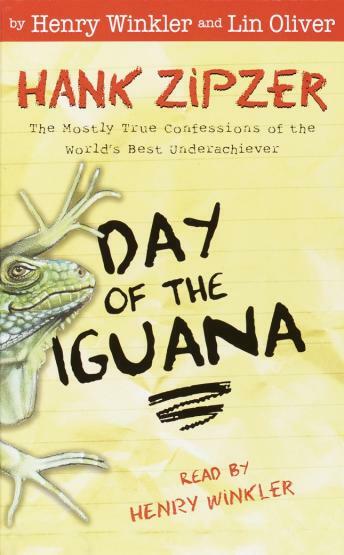 But Hank wasn't counting on his sister Emily's iguana laying eighteen eggs in the disassembled cable box! How's Hank going to get out of this one?